Order this awesome resource to display within your school. 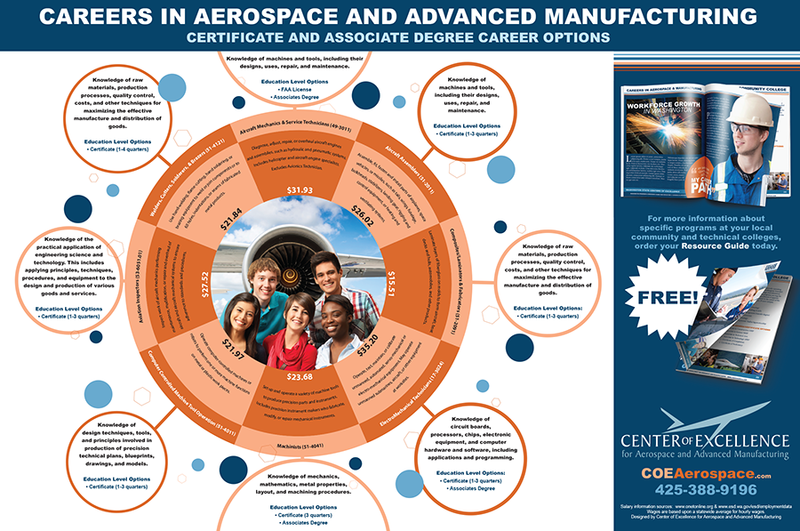 The Poster provides at-a-glance information on careers in aerospace and advanced manufacturing. This Poster unveils career options to youth who may not have thought about careers in aerospace and advanced manufacturing. Order copies for your school today! Resource Guide – Now Available as eBook!